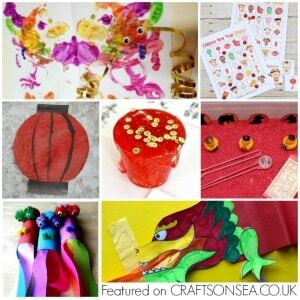 I originally planned this as a Chinese New Year craft for kids but truth be told it’s just as much to do with my desire for spring to start – I am done with the cold weather! 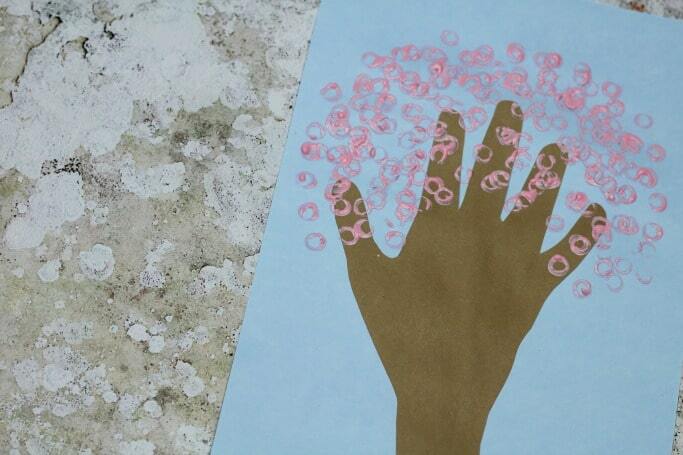 This handprint cherry tree craft is super easy to make and uses one of our favourite ways to print – Duplo! I know that we’re not the first to make a handprint tree craft ( I love this winter hand print tree from Fun-A-Day and this Valentines handprint tree from Arty Crafty Kids ) but truth be told I originally planned just to draw a normal tree – drawing trees is surprisingly hard though! 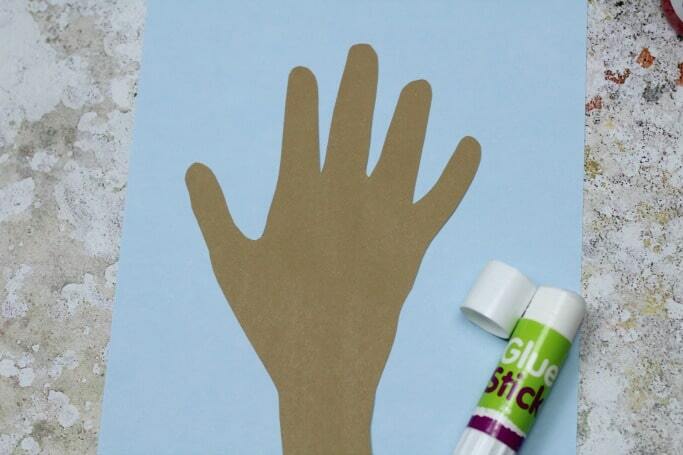 Using a handprint is much easier and allows kids to practice both their scissor skills and controlling a pen or pencil – just place a hand on brown card, draw round it and then carefully cut it out – plus of course it makes a very cute keepsake! Once your tree is set up all that you need to do is make your cherry blossom – we were out of pink paint so I mixed some up using white and a splash of red. 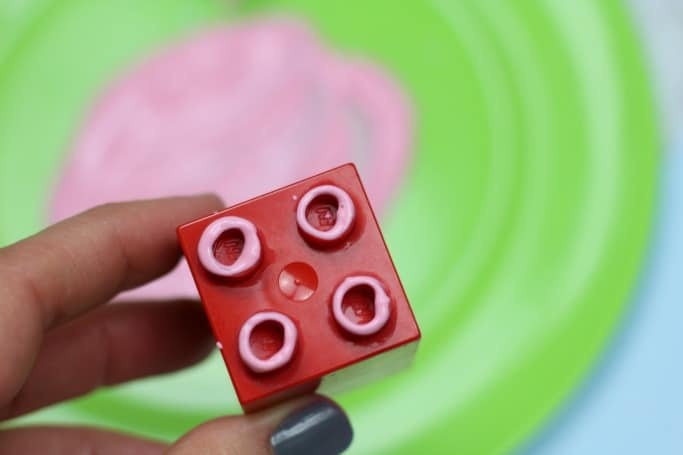 Duplo is great for printing due to it’s chunky holes – megabricks should work just as well if you have those. Lego bricks might be a bit small but it might be fun to try alternating the two – perhaps you could use Lego bricks for some new green leaves on your tree. 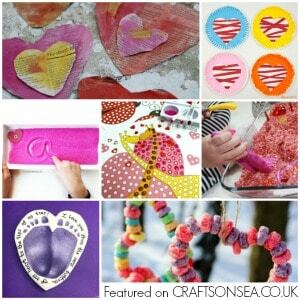 Or if you’re after more things pink and pretty why not take a look at this round up of over 60 Valentines Day activities. This is such a cute and easy craft to make with ingredients that are already on-hand at the house. My kids would love this. Cheers!